Эпистемологические дебаты о том, как правильнее определить наименование и границы региона, называемого Средней / Центральной / Внутренней Азией или же Евразией, не затихают с момента изобретения этих терминов в первой половине XIX века. Стандартные аргументы циклично выстраиваются на пересечении научных рассуждений и псевдонаучных конструкций, политики и геополитики, устоявшихся литературных оборотов и вкусовых пристрастий. Предлагаемая в книге Светланы М. Горшениной история начальных этапов выработки концепта Средней / Центральной Азии демонстрирует неоднозначность многих привычных определений, показывая, что все существующие именования относятся не к объективному географическому порядку, а к географии репрезенций. Декодируя воображаемые критерии, автор показывает связь этих топонимов с географиче ским детерминизмом, принципом «центричности», геополитическими интересами национальных государств и транснациональных группировок, а также с линейным позитивизмом, связанным с европоцентризмом и западным империализмом. Данная публикация является адаптированным переводом части книги L’invention de l’Asie centrale. Histoire du concept de la Tartarie a l’Eurasie (Genève: Droz, 2014). Книга на русском языке доступна здесь. Автор: Галия Джанабаева, редактор: Марья С. Розанова. В книге представлены эстетические особенности декоративно-прикладного искусства центральноазиатских народов, многие уникальные образцы которого, а также навыки и знания, связанные с их изготовлением, признаны ЮНЕСКО шедеврами традиционного искусства и внесены в Список Всемирного нематериального культурного наследия. Обращаясь к истокам зарождения и последующего развития народного декоративно-прикладного искусства, художественных промыслов и ремесел, автор показывает историческую преемственность культур и национальных традиций народов Центральной Азии. 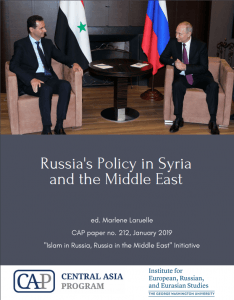 “Islam in Russia, Russia in the Middle East” Initiative. 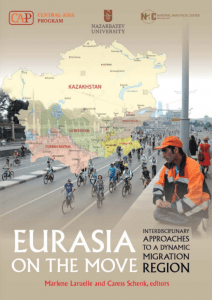 Eurasia is marked by some of the freest migration in the world through the free labor zone of the Eurasian Economic Union and the visa-free regime of the Commonwealth of Independent States. At the same time, however, it faces restrictions in the form of Soviet-era registration procedures, active use of re-entry bans in Russia, and heavy-handed efforts to regulate emigration in Tajikistan and Uzbekistan. In this context, migration is not only an issue requiring domestic policy attention, but also a critical focus of geopolitical bargaining. 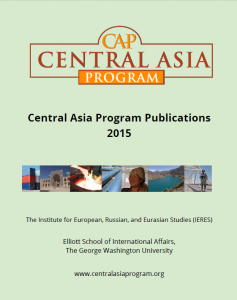 Given the political and theoretical salience of migration in the Eurasian region, the NAC-NU Central Asia Studies Program chose as its second theme “external and internal migrations in Central Asia.” The call for papers generated proposals related to the development of Central Asian economies from migration and remittances, the dynamics of migration to Russia (the major destination), rising alternative destinations, and political factors in home and host countries. On the basis of these papers, we convened a conference in Astana in September 2017, which brought together junior and senior scholars with ties to the region and to international academic institutions. This group of scholars is well placed to mediate the empirical work being done in the region and broader theoretical perspectives. 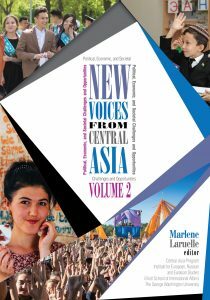 The second volume “New Voices from Central Asia: Political, Economic, and Societal Challenges and Opportunities” gives the floor to a young generation of experts and scholars from Central Asia and Azerbaijan. They were fellows at GW’s Central Asia-Azerbaijan Fellowship Program, which aims to foster the next generation of thought leaders and policy experts in Central Asia. The Program provides young professionals (policy experts, scholars, and human rights and democracy activists) with opportunities to develop their research, analytical, and communication skills in order to become effective leaders within their communities. 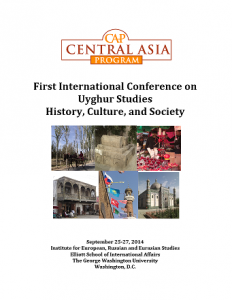 The Program serves as a platform for the exchange of ideas and builds lasting intellectual networks of exchange between and amongst Central Asians and the U.S. policy, scholarly, and activist communities. 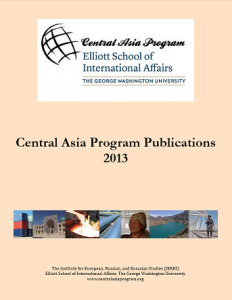 It increases and helps disseminate knowledge about Central Asian viewpoints in both the United States and Central Asia. China’s Belt and Road Initiative (BRI) was announced by Chinese President Xi Jinping in September 2013 at Nazarbayev University. 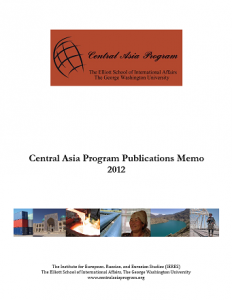 It is therefore natural that, for its launch, the NAC-NU Central Asia Studies Program, in partnership with GW’s Central Asia Program, seeks to disentangle the puzzle of the Belt and Road Initiative and its impact on Central Asia. Selected from over 130 proposals, the papers brought together here offer a complex and nuanced analysis of China’s New Silk Road project: its aims, the challenges facing it, and its reception in Central Asia. 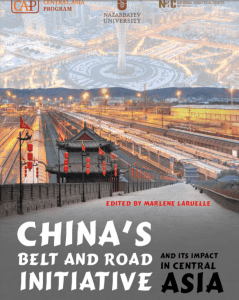 Combining methodological and theoretical approaches drawn from disciplines as varied as economics and sociology, and operating at both micro and macro levels, this collection of papers provides the most up-to-date research on China’s BRI in Central Asia. It also represents the first step toward the creation of a new research hub at Nazarbayev University, aiming to forge new bonds between junior, mid-career, and senior scholars who hail from different regions of the world and belong to different intellectual traditions. The economic driver of Central Asia, Kazakhstan stands up for its forward-looking branding and its multivectoral foreign policy. Behind its many successes, the country has been facing difficulties in managing its relationship with foreign investors, avoiding an “oil curse”, and obscuring the growing public debt of its nationalized big firms. Kazakhstan has partially failed to avoid social tensions linked to deep regional inequalities and to handle the 2014 economic crisis and the collapse of the national value, the tenge; at the same time, the role of Islam in public space, both urban and rural, has been evolving dramatically over two decades. In the past few years, Tajikistan’s domestic situation has been shaped by the shrinking place given to the Islamic Renaissance Party (IRPT). The Tajik authorities used the Islamic State threat to liquidate the IRPT, the last structured opposition force, and eventually banned it in late 2015. State-sponsored narratives have been making massive—excessive—use of “Islam” as a tool to better control society (through women’s dress code, for example); to denounce regional warlords and opponents; and to instrumentalize regional powers such as Iran. However, societal evolutions are much more complex than the black and white state narrative would have us believe, with migrations and youth bulge at the core of social transformations, not to mention difficulties in making the Tajik economy—from energy use to agriculture—and public finance viable. Kyrgyzstan has been the most studied country in Central Asia, due to its openness to Western observers and the substantial presence of foreign institutions in its higher education system. Withstanding the pressure of its paradoxical politics, the country combines political pluralism and diverse parliamentary life with state violence, a public administration that is penetrated by criminal groups, and rising street vigilantism. Kyrgyzstan’s economy is also struggling, between the mining rent curse, agricultural survival and migrants’ remittances. In the past few years, Kyrgyz authorities have begun to follow Uzbekistan’s path, placing excessive stress on the theme of Islamic radicalization in order to justify the status quo and the role of law enforcement agencies. 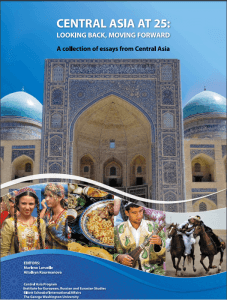 Academic knowledge on Uzbekistan blossomed in the 1990s, before drying up in the 2000s and 2010s with the closure of the country and the increased difficulty of doing fieldwork. However, research has continued, whether directly, on the ground, or indirectly, through secondary sources or diasporic and migrant communities abroad. The death of the ‘father of the nation’, Islam Karimov, in fall 2016, partly changed the conditions and may slowly reopen the country to external observers and to regional cooperation and interaction with the world more broadly. 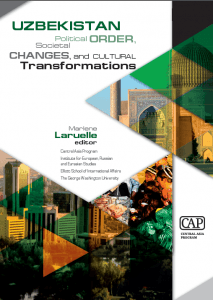 This volume offers a unique collection of articles on Uzbekistan under Karimov, giving the floor to scholars from diverse disciplines. It looks at critical issues of history and memory, at dramatic societal and cultural change the country faced during two decades, at the domestic political order, and at change and continuity in Uzbek regional and foreign policies. The most closed and understudied country in Central Asia, Turkmenistan has been facing profound evolutions since the death of its first president, Saparmurat Niyazov, in December 2006. 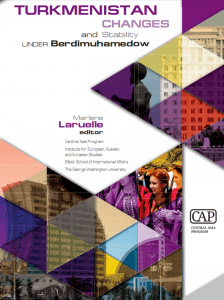 The political regime has evolved slowly under the second president, Gurbanguly Berdimuhamedow, giving more room to the emerging middle class and allowing for slightly more open patterns of development, particularly in higher education. The country has pursued its neutrality status in a post-Crimea world but has been feeling previously unknown insecurities related to destabilizations coming from its Afghan neighbor. Turkmenistan has also entirely reoriented its gas production and export strategies toward China, which has so far resulted in Ashgabat being essentially held hostage by China’s policies, with little room for maneuver to adjust to a new world energy context. 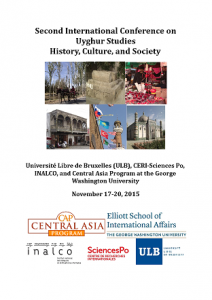 The volume provides academics and policy makers with an introduction to current trends in Southern Eurasia. At the collapse of the Soviet Union, Western pundits celebrated the dramatic reshaping of regional interactions in Southern Eurasia to come, with the hope of seeing Russia lose its influence and be bypassed by growing cooperation between the states of the South Caucasus and Central Asia, as well as the arrival of new external powers. This hope has partially failed to come to fruition, as regional cooperation between the South Caucasus and Central Asia never started up, and cooperation within these regions has been hampered by several sovereignty-related and competition issues. However, a quarter of century after the disappearance of the Soviet Union, strategic nodes in Southern Eurasia have indeed deeply evolved. Some bottom-up dynamics seem to have taken shape and the massive involvement of China has been changing the long-accepted conditions in the wider region. Islamic finance has also emerged, while external actors such as Turkey, Iran, the Gulf countries and Pakistan have progressively structured their engagement with both Central Asia and South Caucasus. 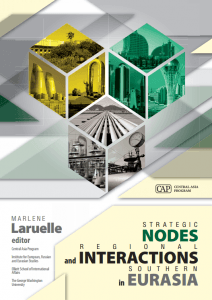 Another key node is centered in and around Mongolia, whose economic boom and strategic readjustments may help to shape the future of Northeast Asia. 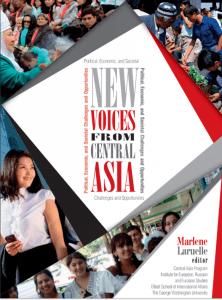 The volume “New Voices from Central Asia: Political, Economic, and Societal Challenges and Opportunities” gives the floor to a young generation of experts and scholars from Central Asia and Azerbaijan. They were fellows at GW’s Central Asia-Azerbaijan Fellowship Program, which aims to foster the next generation of thought leaders and policy experts in Central Asia. The Program provides young professionals (policy experts, scholars, and human rights and democracy activists) with opportunities to develop their research, analytical, and communication skills in order to become effective leaders within their communities. The Program serves as a platform for the exchange of ideas and builds lasting intellectual networks of exchange between and amongst Central Asians and the U.S. policy, scholarly, and activist communities. 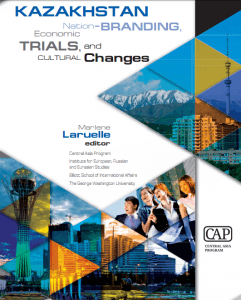 It increases and helps disseminate knowledge about Central Asian viewpoints in both the United States and Central Asia. To reflect over a quarter century of independence, we decided to give the floor to local voices exclusively. 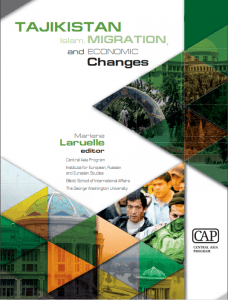 In this book, Central Asian scholars express what they consider to be the main successes and failures of these 25 years of national sovereignty, as well as the challenges their society will have to face in the near- and long-term future. 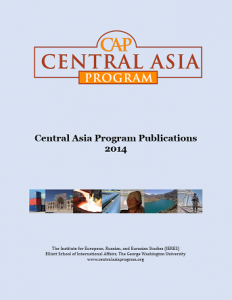 The book Central Asia at 25. Looking Back, Moving Forward includes an essay by 31 authors: Dilorom Abdullaeva, Aida Alymbaeva, Umed Babakhanov, Bakhytzhamal Bekturganova, Denis Berdakov, Alima Bissenova, Konstantin Bondarenko, Svetlana Gorshenina, Shairbek Juraev, Gulzhigit Ermatov , Galym Zhussipbek, Nargis Kassenova, Diana Kudaibergenova, Sobir Kurbanov, Sanat Kushkumbayev, Guzel Majdinova, Parviz Mullodzhanov, Anar Musabaeva, Davron Mukhamadiev, Parviz Mukhamadiev, Madina Nurgalieva, Adil Nurmakov, Mirzohid Rakhimov, Aidos Sarim, Talant Sultanov, Sanjar Sulton, Farhad Tolipov, Valikhan Tuleshov, Umida Hashimova, Alexander Tsay, and Aynabat Yaylymova. 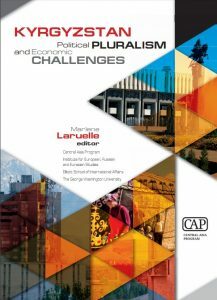 The first part of the book insists on three critical elements of the last 25 years: integration processes of the new states in the international scene, an ideology that absolutizes the sovereignty acquired in 1991 as the quintessence of the nation’s achievement, and, domestically, a political path shaped by presidentialism and a fear of pluralism of opinions, seen as a risk for the countries’ stability and essence. The second part of the book looks at the transformation of identities and societies in their ‘post-Sovietness.’ In the third part of the book we look at new social forces at work. 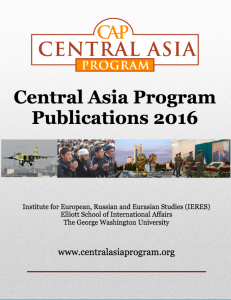 The fourth part looks forward and investigates the new ideological trends that will shape some or all Central Asian countries. 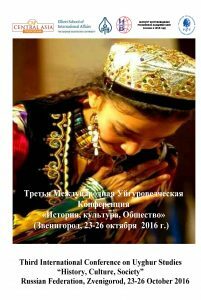 The book is available in Russian and English. The Annual Memos group all CAP online publications in an easily downloadable booklet to keep you up to date on current research on the region. This book offers unique insight into the memory of the Central Asian afgantsy, who fought in Afghanistan during the Soviet invasion of 1979-1989. 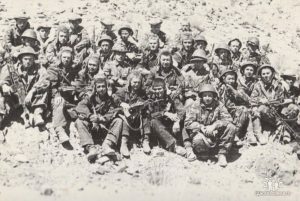 This work of oral history, organized by a team of Kazakh, Tajik, and Uzbek scholars under the supervision of Prof. Laruelle, contributes to a better understanding of the deep influence of the Soviet-Afghan war on the Soviet Central Asian social fabric, and the memories still at play today. Данная книга представляет собой уникальную информацию – память войнов-«афганцев» из трех стран Центральной Азии: Казахстана, Таджикистана и Узбекистана, принявших непосредственное участие в военных действиях в Афганистане в ходе десятилетней войны. Благодаря замечательной работе группы, состоящей из казахстанских, таджикских и узбекских специалистов, «афганцы» Центральной Азии, наконец, получили возможность высказаться. Будучи самостоятельными вершителями своих судеб, далекими от нынешних идеологических установок, они описывают реальность своей повседневной жизни, свой опыт в качестве солдат и офицеров, а также взаимоотношения с жителями Афганистана. Они определяют то, что считают важным сохранить в памяти, в основном, свою гордость за советские достижения. 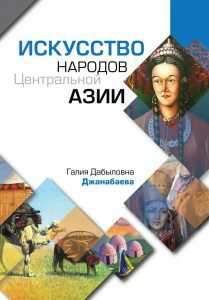 Данная книга посвящена памяти всех «афганцев» Центральной Азии, которых уже нет в живых и кто уже не может поведать миру свою историю.